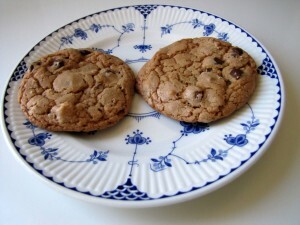 Perfect Chocolate Chip Cookies – Life! Today I came across this recipe from America’s Test Kitchen and had to try it, although I had many other things I should be doing. The method intrigued me. Browning the butter is the key to the taste of these cookies. There is usually not much advance thinking when I decide to make a batch of cookies and I don’t like waiting for the butter to soften. Browning butter makes me a bit nervous, probably the result of burning a lot of butter over the years. Today I watched and stirred constantly over a medium low heat. At one point it was covered with a soft yellow foam and I could see what color it was below the foam. Eventually, I could see the golden brown color I was looking for and immediately removed it from the heat. The dough turns out to be much chewier than my usual recipe. The recipe I use all the time is found at Vanilla Carrots. I’ll have to make a batch of each on the same day and do a taste test, but these are really good. Preheat oven to 375 degrees. Combine flour and baking soda in a bowl. Whisk and set aside. Melt 1 1/4 sticks butter in a skillet over medium-high heat. 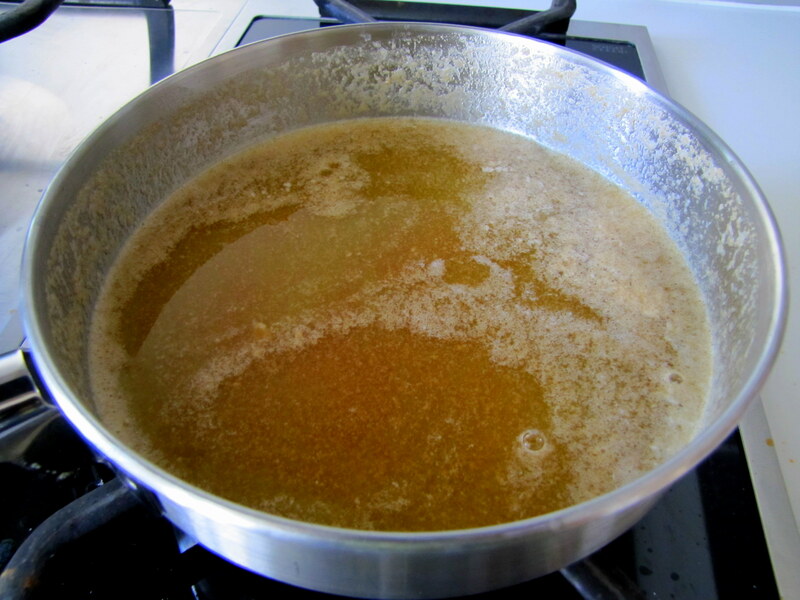 Keep swirling until butter has a dark golden brown color and a nutty aroma, about 1 to 3 minutes. Transfer it to a bowl and mix in the remaining butter until melted. Add the sugars, salt, and vanilla to the butter and mix well. Add the egg and the extra yolk; whisk until smooth, about 30 seconds. Let it rest for 3 minutes, then whisk again for about 30 seconds, before letting it rest again. You’ll want to whisk this about 4 times, until you have a thick, glossy, and smooth mixture. Gently stir in the flour and baking soda just until combined. Stir in the chocolate and nuts. Form dough balls (mine were about 2 inches in diameter), and place them on a lined baking sheet about 2 inches apart. Bake at 375 degrees for 10-14 minutes Mine took 10 minutes, most people cook chocolate chip cookies way too long. They actually looked a bit under cooked when I took them out, but they continued to cook as the baking sheet cooled down. the key is for them to be just barely turning golden on the edges but looking a bit soft in the center. 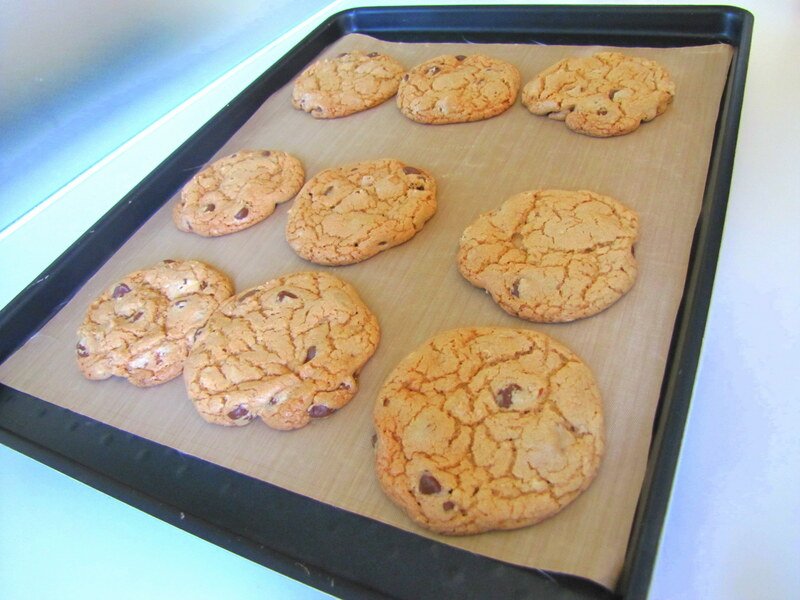 Put the baking sheet on a cooling rack and let the cookies cool on the sheets. Tay and I made these about a year ago! They were really good . 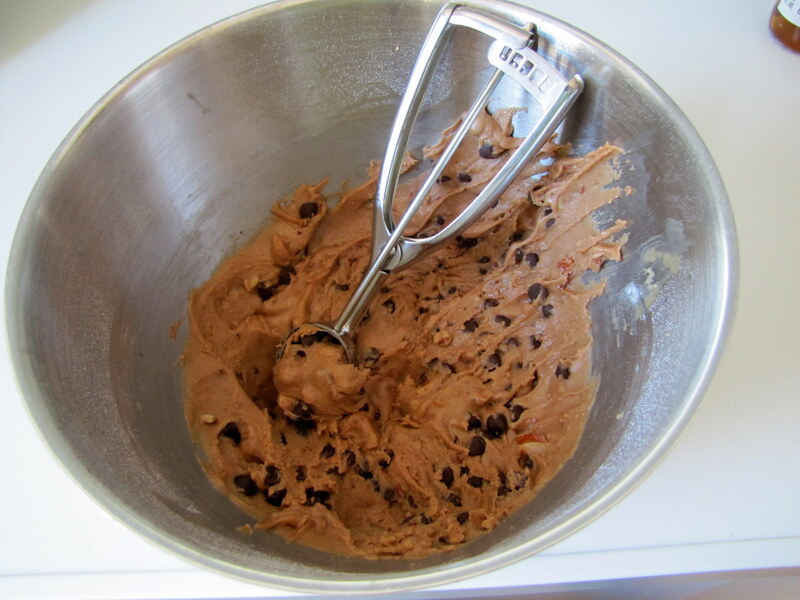 . . funny how the dough isn’t very yummy but the cookies are! We haven’t made them since though, like you said, it required preparation time and sometimes I’m just not that patient! We are still planning on doing a taste test with a bunch of different recipes too! Hope you’re doing well! Give my parents a hug for me :).